In recent years there has been a renewed and heightened interest in the War Between the States. 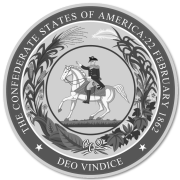 Some historians trace much of our current problems in this country to the surrender of the Army of Northern Virginia and the consequent demise of the Southern Confederacy. The truth is that much of what is written today is usually an inaccurate portrayal of the South, if not a wholesale revision of historical truth. The Story of the Confederate States is refreshingly different. Written at the close of the nineteenth century with young people in mind, Joseph Derry’s Story of the Confederate States is a fast-moving account spanning from the Colonial period through Reconstruction. Teach yourself and your children the truth about the social, political and cultural climate and the accurate history of the South. Be the first to review “Story of the Confederate States” Click here to cancel reply.